In addition to the Military Crosses won recently by Jim MacLean, Pat Campbell and Philip Frere, we must record the honours gained over recent months by eight other Old Dragons. Lt.-Col. JGP Romanes (Royal Scots): “For conspicuous gallantry and devotion to duty. He commanded his battalion with great skill and courage in a night attack. Under his leadership the battalion captured all its objectives without check, inflicted heavy casualties on the enemy, captured over 50 prisoners, and consolidated all the ground won under intense shell fire.” (London Gazette 26/8/18). Capt. EH Evans (Royal Welch Fusiliers): “For conspicuous gallantry and devotion to duty during an attack. He showed great skill in consolidating and organising against counter-attack. He moved about the firing line continuously encouraging the men and organising the defences.” (London Gazette 18/8/18). Maj. EHW Williams (Hussars): “For conspicuous gallantry and devotion to duty. He led a mounted charge along a hostile line, after the infantry line had broken back, taking the line in flank, and in the face of the heaviest machine-gun fire, he carried out the manoeuvre successfully, sabring nearly 100 of the enemy, and taking 100 prisoners, although his own troop was only 150. His fine action rallied the infantry, who advanced and recovered over 3,000 yards in depth of the whole line.” (London Gazette 26/7/18). Capt. CM Hughes Games (Gloucs). “For conspicuous gallantry and devotion to duty. 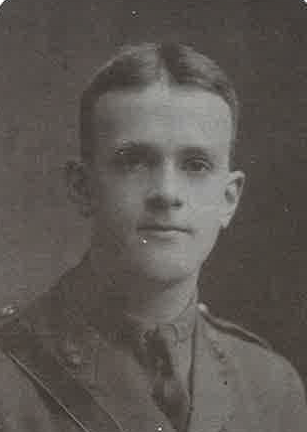 Whilst in command of the support company of the battalion he displayed wonderful energy and determination in checking the enemy advance, which had broken into our front line. He formed a block and organised its defence with machine-guns until badly wounded by a sniper. 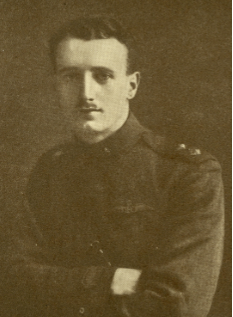 His example of courageous coolness was responsible for holding the hostile advance, and gave his battalion time to reorganise and take up a new defensive position.” (London Gazette 18/7/18). Capt. GC Drinkwater (RFA). (London Gazette 16/1/18). Capt. RJK Mott (Special List). (London Gazette 3/6/18). Lieut. DEI Innes (RE). (London Gazette 3/6/18). Capt. CP Warren (Rifle Brigade). (London Gazette 3/6/18). We have two more Military Crosses to celebrate – both listed in the London Gazette of July 26th. Although Philip did not mention this incident specifically, it seems likely to fit in with the events of March 24th which he described in his last letter. Pat too was doing his best to hold back the advancing Germans on March 24th. 28/3/18. “It all started on the 22nd, as far as we were concerned. We were in Corps Reserve, and had been standing by to move at an hour’s notice. On the morning of the 23rd, we started scrapping; eventually we saw that the Boche had got right through on our right and were coming round, so we had to hook it, and jolly quick too. He shelled us very heavily with whizz-bangs at point blank range for a time. Our guns behaved as at a military tournament, coming into action at a gallop. We left a platoon to cover our retirement, and then got back as best we could to a line facing South instead of East. The first two days I had nothing but a cup of cocoa and a slice of biscuit and marmalade which we found; but then food doesn’t matter and I was hardly hungry. The awful part was thirst, and it was not until the eve of the 24th that we came upon a water point and managed to fill up just before the Boche arrived. I did not know what thirst was till then. But even this was not so bad as the fatigue and awful depression. What was happening? When would it all end? How long were we to continue this unending fighting? We had not the least idea where the rest of our Brigade and Division were, we had no orders what to do, and were left to gloomy speculation how on earth we were going to subsist. At Ytres on the 23rd, we managed to hold on till about 4 p.m. when we found that the Boche had crossed the canal, so we fixed up a line behind with the people on our right and retired to it. Next morning, the 24th, at dawn, we found that we were at the point of the salient about three miles deep and about a mile across at the base. I never thought that we should extricate ourselves, but we did. All that day the same thing went on, the men were absolutely done, parched with thirst, and with no spirit left at all. That evening we reached Le Sars and dropped where we stood; however, we had fallen on our feet, for we found the Transport and got food and water. That night I got a little sleep, but the cold was ghastly. Next morning, the 25th, we started with a very heavy action in front of Le Sars; my Assistant Adjutant was killed and the second in command saved me by stopping a bullet in front of me. 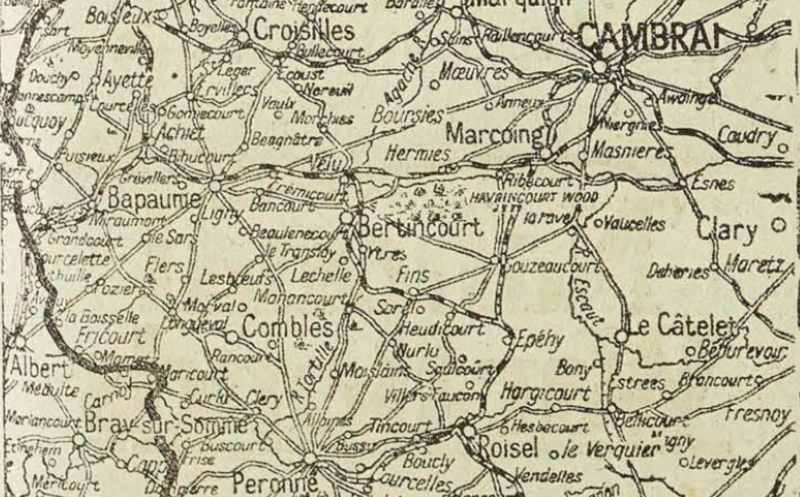 That day we fought three actions and came to rest in the evening near Beaucourt. It is difficult to find a good map on which one can place such events, but this one from the newspapers is the best I can do. Philip’s line of retreat is just south of Bertincourt (Ytres) going due west to Le Sars. Philip’s sang-froid is truly remarkable; he and his troops must have been driven right to the very limits of their powers of endurance. I fear that the horror of it all will live with them for quite some time. On April 11th Henry’s name appeared in the Daily Telegraph ‘Roll of Honour as being “wounded and missing, believed killed” and whilst we feared the worst there was, given the confusion at the outset of the German offensive, a glimmer of hope. The German attack, made under the cover of a thick mist and in great numbers, overran many of our troops in the forward positions. 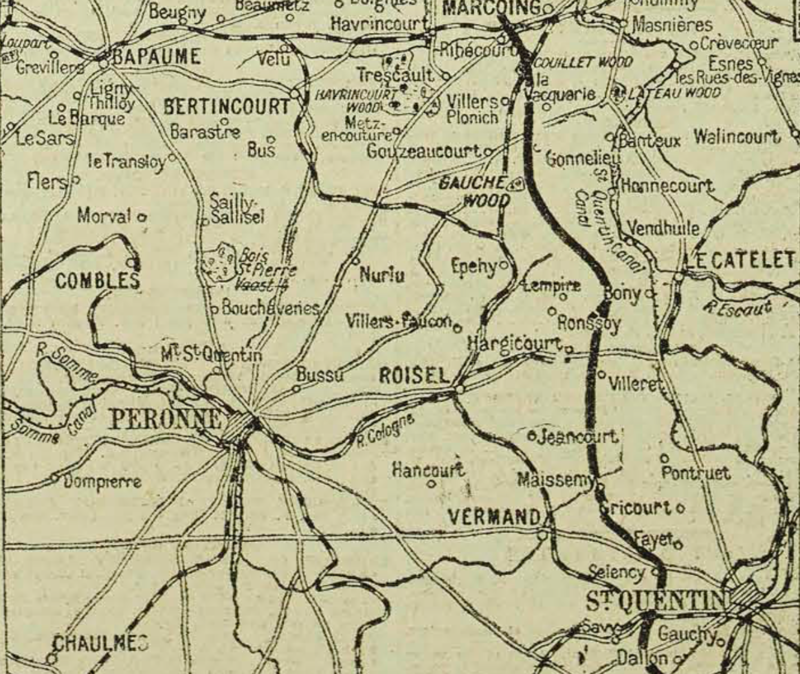 Henry was stationed near the front (represented by the thick black line) at Lempire (east of Peronne) and it is understood that he was in a dug-out with his Captain when a messenger came with a despatch. They told him where to take it, and he came back almost at once and shouted down that the Germans were upon them. The Captain and Henry got the men out immediately and there was a fierce fight. At the end of about twenty minutes, the Captain was shot through the chest and fell and another bullet went through his head and killed him. Henry ran to his side, but was immediately shot. It is proving to be a harrowing month – this new phrase of the war has seen the deaths of 4 of our Old Boys endeavouring to hold back the German advance (Alan Haigh-Brown, George Thuillier and Ronald Stonehouse being the others). With casualty lists being the length they are, I fear there may be further additions to this list still to come. Whilst at the Dragon, Henry was a quiet, reserved boy, with a considerable sense of humour. He was not particularly keen on games, but had his own amusements and was an interested observer of all that went on. He was always popular with a good set of boys. He was a good essay writer and fond of history. His line of thought was always independent and original, and it is impossible to think of him without remembering the twinkle in his eye, which brought him into many scrapes and saved him from their usual consequences. Every day I open the morning newspaper to read on the ‘Roll of Honour’ of large numbers of officers killed and wounded, always in fear that I shall see the name of one of our Old Boys. I am also confronted by an increasing number of those who are pronounced as ‘Missing’. This gives hope, but the families of these men are condemned to months of uncertainty as to whether their loved ones are dead, wounded or captured. In the case of the family of Capt. Edmund Gay (Norfolk Regiment) it has been nearly two years; he has been missing since August 1915. Now two more of our Old Dragons have joined this list. On May 20th, Mr Herbertson received a telegram stating that his grandson, Lieut. 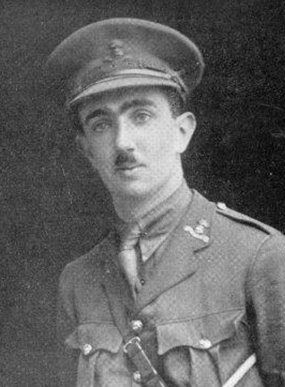 Hunter Herbertson (King’s Royal Rifle Corps) was reported as missing, but he understands that this does not necessarily mean that he is either wounded or killed. On the night of May 16th he went out on a patrol with two others near Cherisy (at the southern end of the Arras battlefield). None of them returned. Enquiries will be made in the hope that he was captured and is a prisoner of war. 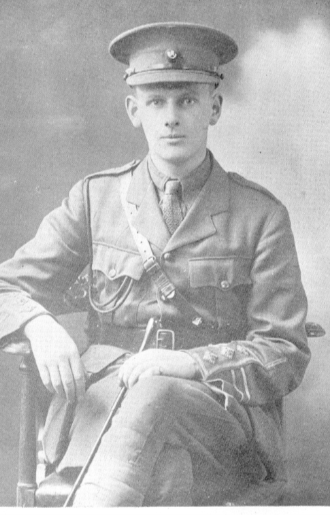 Hunter had done two years at Balliol (reading History) when war was declared. He joined up, but whilst training he suffered a double tragedy. 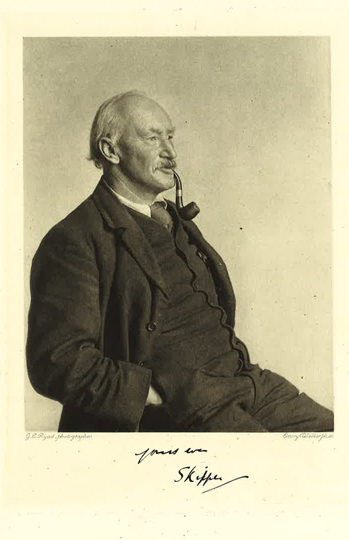 His father (Oxford’s first Professor of Geography) died in July 1915, followed two weeks later by his mother. Both are buried in the Holywell Cemetery. Like Morice Thompson, he was involved in the attacks that took place on May 3rd in the Arras district, but as yet we have no further information as to the circumstances of his disappearance. 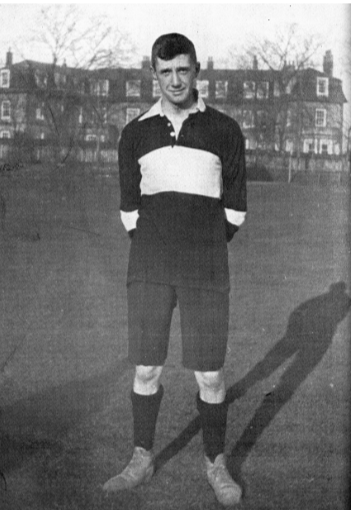 John has been a regular visitor to the school in recent times. When home on leave he was always about, ready to take a form or a game. It is at times like this that you are glad to have a photograph that captures happier times and places to have in front of you. This is John, as the boys will remember him, and hopefully he will return to us in the fullness of time. 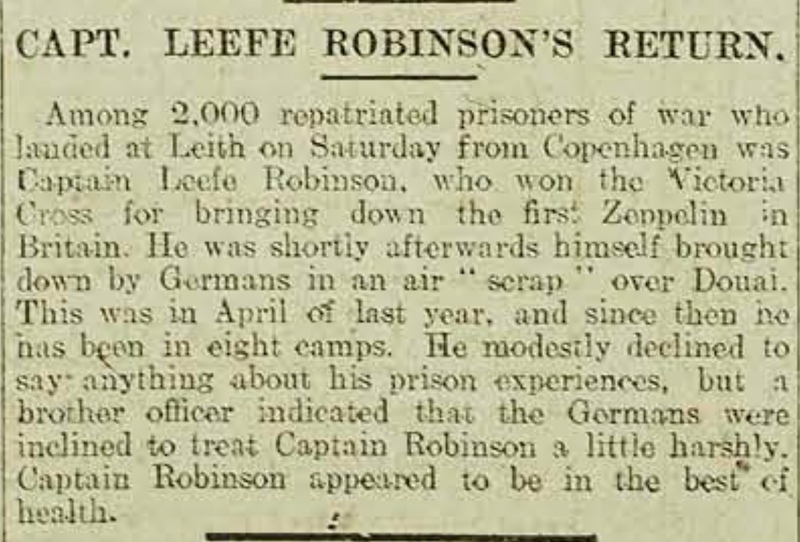 Better news was to be found on a list headed ‘Previously reported missing, now reported prisoners of war in German hands.’ Included on it was the name of 2nd Lieut. Peter Warren, whose fate has been unknown these past seven weeks. His squadron was returning to their base on April 2nd when they were set upon by German squadron. It seems that Peter’s plane was singled one and forced to ditch behind enemy lines.